Could you afford to lose $13,000? $20,000? $45,000? These are examples of fines levied against landlords for failing to provide tenants with lead paint disclosure forms. It is important to note that these fines are not conditioned upon actual injury. Should an occupant become sick from lead poisoning, the liability landlords face could be in the hundreds of thousands of dollars. These judgments are not always covered by insurance. The federal lead paint disclosure rules apply to virtually all landlords who own properties that were built prior to 1978. The EPA and HUD work in conjunction to enforce these rules. Landlords who own properties in New England cities are the most likely to find lead paint hazards, however, it is important to note that lead paint disclosure requirements apply across the country. Landlords who own properties built prior to 1978 must disclose to tenants prior to lease signing any known information on lead-based paint and lead-based paint hazards. Typically, this is done on a Disclosure of Information on Lead-Based Paint and/or Lead-Based Paint Hazards form provided by the EPA. This disclosure should be referenced in the lease agreement, preferably under a heading “Lead Warning Statement” and must be signed by the incoming tenant. 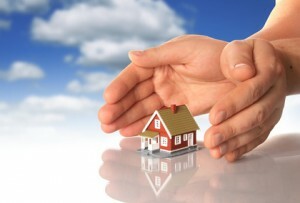 This can be accomplished in the body of the lease or by using an addendum. This warning statement references the disclosure requirements and specifically informs tenants that they are entitled to disclosure of that information. In addition, the landlord must provide the tenant with the EPA-approved information pamphlet Protect Your Family From Lead In Your Home which identifies ways to reduce the risks of lead paint exposure. This pamphlet is available in English, Spanish, Vietnamese, Russian, Arabic, Somali. These materials, available from the EPA website, can be purchased in bulk or downloaded for printing. Disclosure of known lead hazards must include the specific location and current condition of these painted services. Any records or reports regarding known hazards must be provided. Nearly all pre-1978 housing is included in the requirement, with some exceptions made for studios, short-term housing, a room in the owner’s home, and special needs or senior facilities so long as children are not normally present. 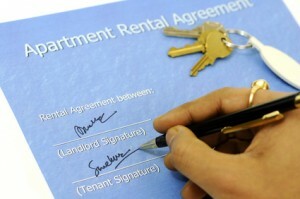 Landlords must keep the signed disclosure forms for three years from lease signing. It is possible that a landlord who mitigates the lead dangers may be exempt from the requirements, for instance where all interior and exterior architectural components — doors, windows, walls and all painted surfaces — are currently lead-free. An inspection may be necessary to verify that the property is lead-free. If a tenant-occupied property is purchased, the previous disclosure will suffice, but lease renewal or any material amendments to the lease, including a rent increase, will trigger a requirement to provide any additional information not previously disclosed. Garage space, garden or tool sheds, signs and fences and other fixtures must be included in disclosures if these are part of the residential space. It is also critical to note that specific states may have their own disclosure requirements for lead paint. These laws may be more restrictive than the federal standards. Massachusetts, for example, has passed stringent rules that require the mitigation of lead paint hazards in rental properties. Contact your state government offices, typically departments of health, or visit with a local attorney to learn more about these local requirements. Failure to do so is likely to result in significant fines. Where a tenant is injured and the landlord has failed to meet the regulatory requirements concerning lead paint hazards, juries are more likely to find the landlord negligent and tend to award higher damages, including punitive damages.